Flexible joints can give you the most precious moments of life! 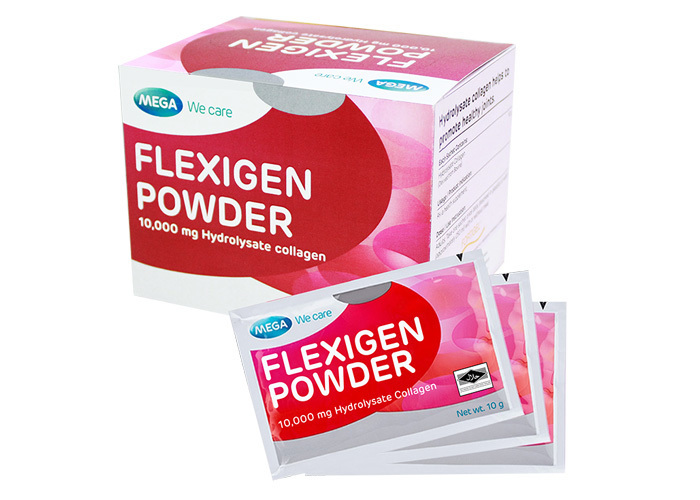 Flexigen sachet contains hydrosylate collagen that improves joint health. 1 sachet every day for healthy and flexible Joints and for active life. Flexigen is effective confirm with clinical trial, it helps nourishing joint, reduce joint damage, reduce pain and stiffness of joint , help you move easier. Dissolve 1 sachet in a glass of water , take once daily after meal continuously at least 3-6 months.